Happy Fourth of July! This year, our finals will be held from September 15-18th, 2016 at the beautiful Skowhegan Fairgrounds, Skowhegan, Maine. Visit our website for more information. 2016 Closing Date is September 1st except for late qualifiers who qualify by September 4th. Whether you simply ride for recreation or race, breed, or show — there's a unique level of enthusiasm, loyalty, and pride among the people who own horses. Farm Family understands that commitment. Our equine owners insurance is designed for enthusiasts like you and helps to address the inherent risks involved with owning horses. It's flexible enough to provide property and liability coverage for operations of various sizes and scopes, yet can be tailored for your specific interest. Our general coverage options include liability for certain horse-related activities and participants at shows, exhibitions, and events and property coverage for residences and households contents, farm products and supplies, barns, farm machinery, and more. Our equine-package policy enhancements allow you to select additional coverages that can include protection for computer equipment to non-owned tack and liability coverage for horse show judges and more. You can also choose coverage for other people's horses that are in your care. Give me a call at 207.622.4646 and we can talk about how you can choose a flexible and tailored equine insurance for your farm or horse operation. For those of you who may have to do the majority of your work independently, here are some ideas. Try to re-create a show type situation at home. If your horse gets fresh in a group setting, try to ride with others as often as possible. Practice the WTC and reverse in a group, have a friend randomly halt on the rail giving you a chance to practice riding past or taking the quarterline to avoid traffic. Have a friend act as ringmaster to call the class, this helps with you not knowing exactly what may come next: will the judge ask for reverse and trot? Or canter? 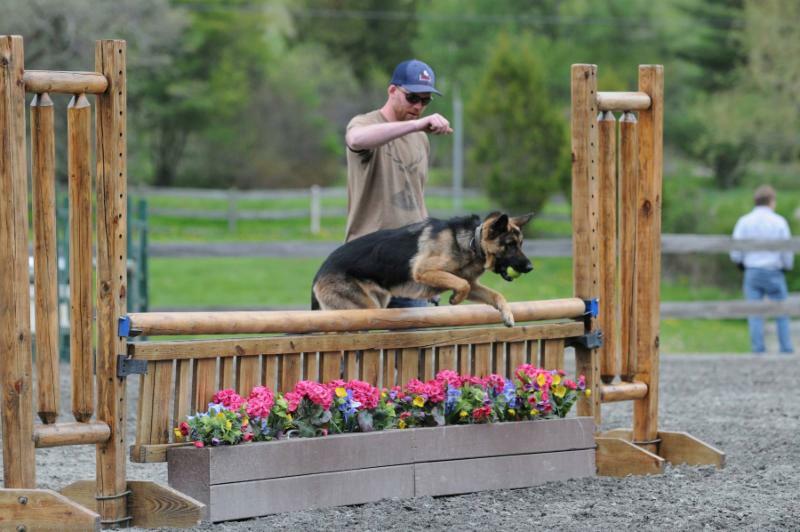 If you are having problems over fences, you can practice riding a lot of pole and flower box courses. Starting with your opening circle, design a few courses, be creative, add that bending line or rollback. Practice riding the correct track and striding until you feel confident that you can develop and identify your horse's ideal pace. Go ahead and use brightly striped poles and crazy colored flowers, potted plants, shrubs, etc. Most horses are more distracted by the “fill” than the actual jump. The more real situations you can create, the better. Practice, practice, practice. 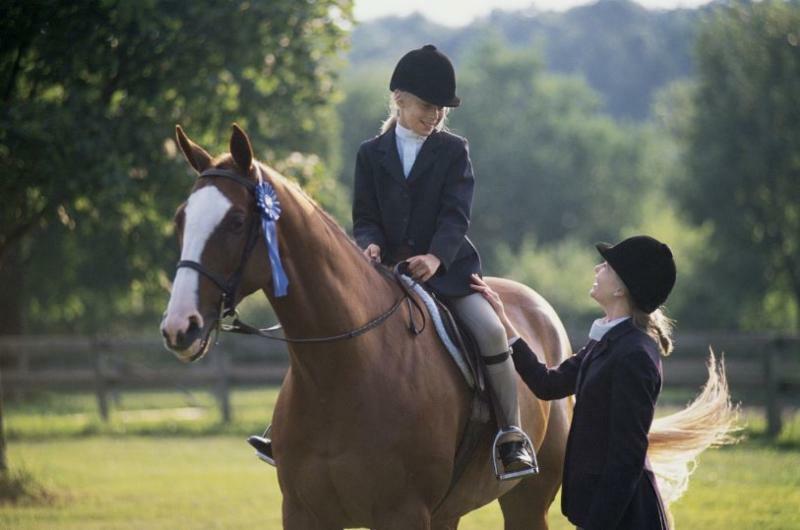 On show day be prepared 110% and arrive early, allowing you and your horse ample time to acclimate to the show grounds. Choose a division that is appropriate for your horse. Go in the ring confident and with realistic expectations and goals. Your success will come by exiting the ring knowing that you and your horse gave your best, not in the color of the ribbon. Greg is Downeast's Head of Jump Crew, and has been working at shows for 12 years managing jump crews and in-gates. Now, he works only a few shows and is a custom jump builder for EMS Jumps. He used to be a boring accountant (for 9 years) and is from Duxbury, Massachusetts. Greg has a darling German Shepard by the name of Missy who everyone seems to adore. You are sure to see Greg at the in-gate this September, making sure the finals run smoothly and quickly! Team Challenge: This is one of the most popular and anticipated events held at Downeast! 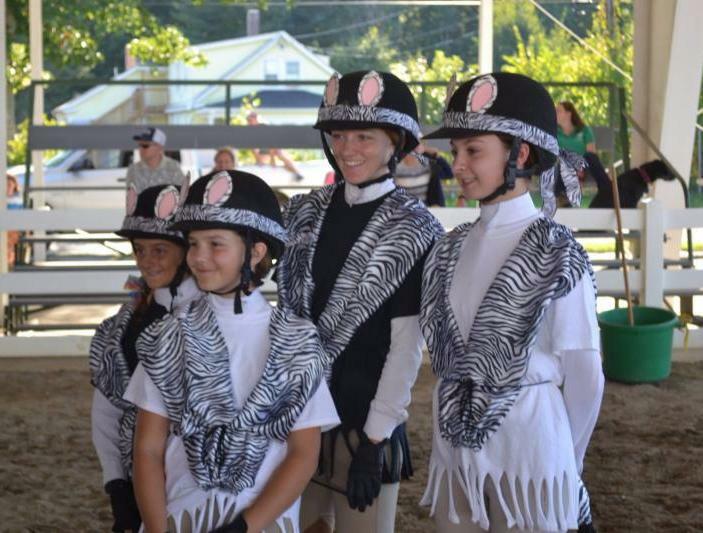 Groups of four riders (under 18) team up and compete without the help of any coach or parent. Open to any junior rider and horse/pony combination, from walk-trot pole level and up, with fence heights not to exceed 2'3". Riders will be randomly selected into teams of four (each with their own costume theme!) and will coach themselves without any help. Riders will be allowed to walk the course prior to the class and the 2'3" height will go first for each team. The score of each team, with the lowest score dropped, will determine the placing. Space is limited for this class and entries are accepted on a first come basis - in order to participate, interested riders must sign up when entries are first sent in. There will also be a mandatory meeting prior to the event where entered riders must be present. Look for more information in the program book! “My name is Cheyenne Roy. I am 14 years old and I have been lessoning since I was four. I have always had a love for horses! 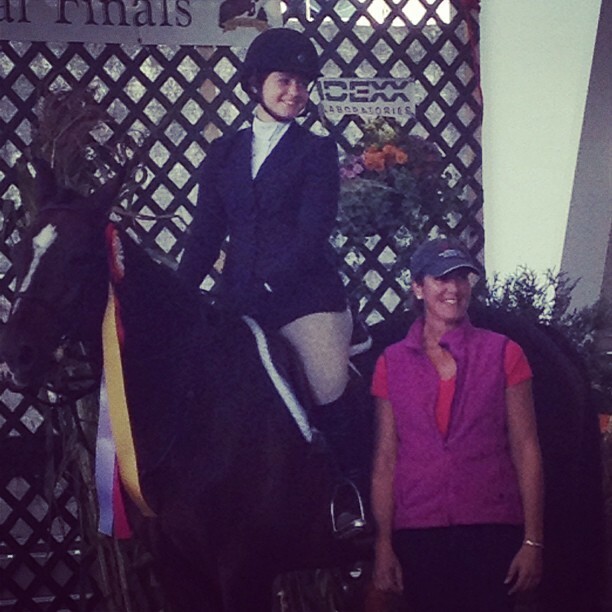 I am lucky enough that I have had my horse Champ (show name Sweet Champagne) since he was 6 months old. He just turned 8 in May. He is the sweetest horse and has a great personality. He is what makes me smile after a bad day. We have been lucky to have some great trainers and my family who supports everything we do! Trainers- congratulate your riders or advertise your farm! Parents- congratulate your children and let them know what a great job they are doing! 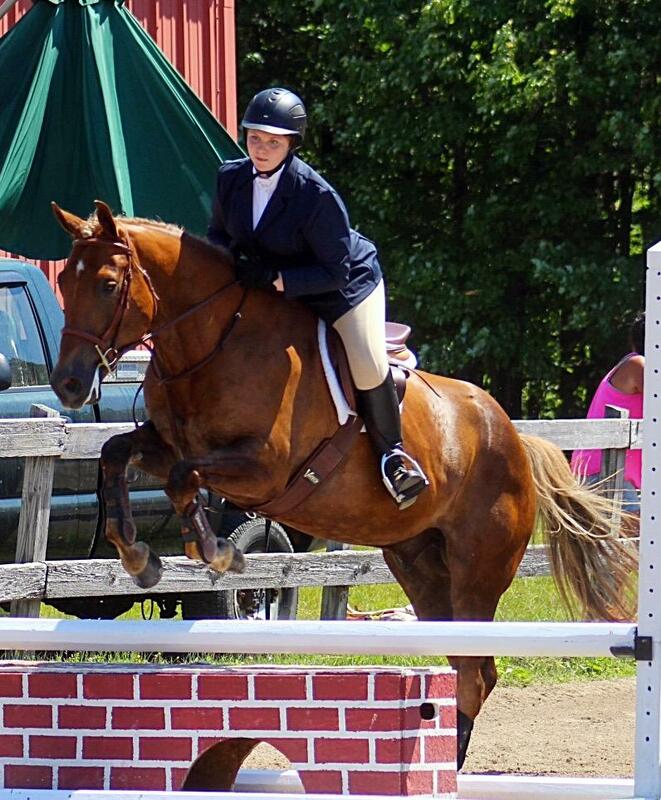 For more information, to list your show with Downeast qualifying classes, to be featured as a Downeast spotlight rider, or to become a sponsor, please email Katie at katherinekirwin@gmail.com.